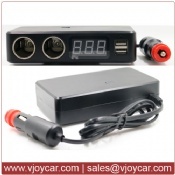 8/20/14China top quality "tk star gps tracker"
Mini gps tracking device for private car, motorcycle, or ebike. 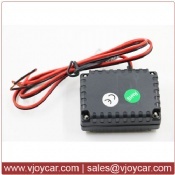 12V-60V or 12V-80V power supply for choice; waterproof level IP67; micro gps tracking chipset without internal battery; China top quality; FREE web based gps tracking platform and public hardware communication protocol; reply address to mobile phone via SMS text directly, can be used a a simple “ SMS Tracker”! Kinds of bike GPS tracker for light bikes, heavy bikes, common bikes or ebike, hidden the GPS tracking chipset inside the rear or front bike lamps: waterproof, rechargeable battery, kinds of sleeping mode, long battery life, motion sensor ... the best anti theft device for bikes. Besides, unique design: Support Flower Drum Dynamo, charging while riding. Waterproof powerful magnet portable gps tracker with long battery life, the theory standby time is from 450days, 900days, 1800days to 3600days; can be used as a very good quality power bank also as it’s with a 5V 1A output; with motion sensor, can detect motion and send out SMS/Call alert. Free install, cost effective solution. Best choice for containers, valuable luggage, safety box, beehives and so on. 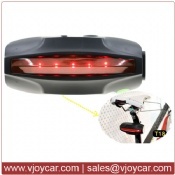 Unique spy devices, eg, hidden the mini gps tracking chipset in the power bank, in the led torch light, in the bike tail lamp, in the motorcycle alarm, in the car adaptor and so on. No one will know they were gps tracker at all.All these device are with motion sensor,could send out call alert or sms alert once detect motion, anti theft!Most are with "liste - in" also,could call these device and listen to the background voice within 5 meters. 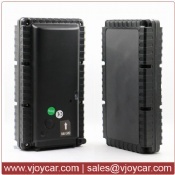 Remotely voice recorder!